End of Course (EOC) STAAR testing for Algebra I, Biology and U.S. History will be held May 1 and 2, 2017. On May 1, Algebra I students will report to their testing rooms by 8:30 a.m. and begin testing. Non-testing students will go through a regular B Day class schedule, however there will be no bells. Testing on May 2 is for Biology and U.S. History — and it’s a very different schedule for the day. 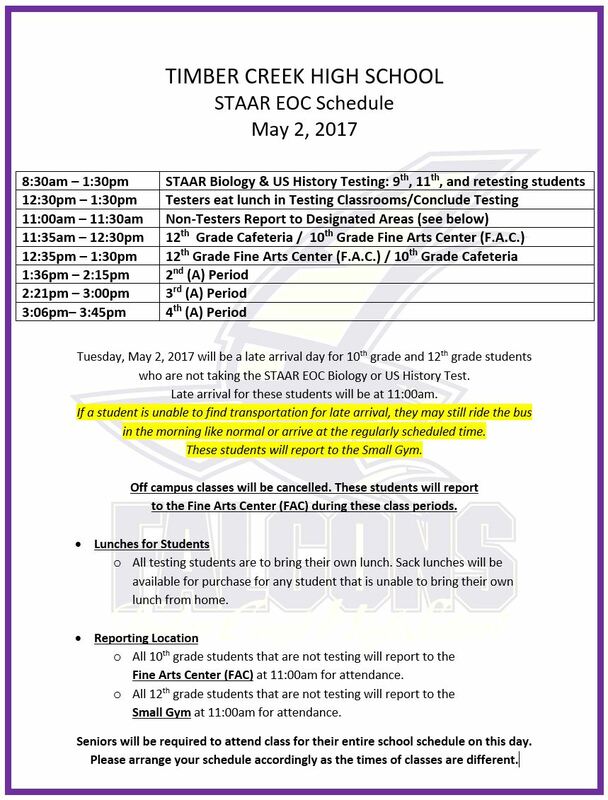 Tuesday, May 2, 2017 will be a late arrival day for 10th grade and 12th grade students who are not taking the STAAR EOC Biology or US History Test. Late arrival for these students will be at 11:00am. 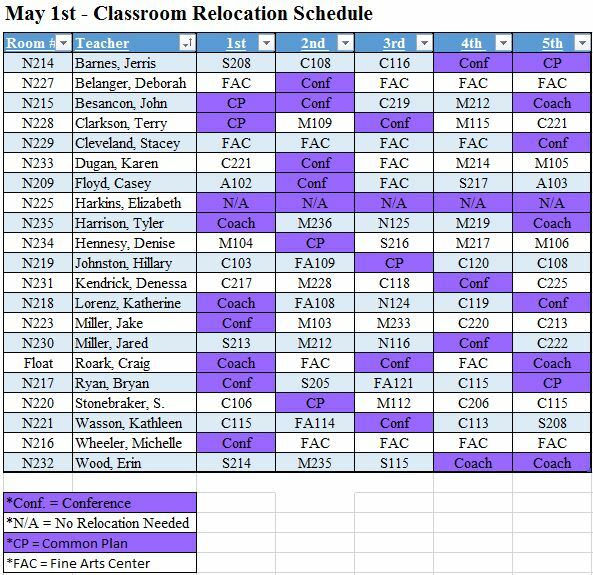 o All 10th grade students that are not testing will report to the Fine Arts Center (FAC) at 11:00am for attendance. o All 12th grade students that are not testing will report to the Small Gym at 11:00am for attendance. This story will continue to be updated as it gets closer to the dates of testing.